Acknowledged by Presto Classical as being a “percussion wizard”, Pirashanna Thevarajah is recognized by the world music and Indian classical community as being an extremely versatile percussionist, with great command over instruments such as Mridangam, Kanjira, Ghatam and Morsing, as well as being equally versed with the art of Konnakol (Indian spoken rhythm). Passionately embedded in the Indian classical tradition, his career has been built upon strong foundations due to extensive study of his art with his guru Sri M. Balachandar, at the Bharatiya Vidya Bhavan, UK. He had his Arangetram (‘official’ debut performance of a musician after undertaking years of training in the Carnatic system) in September 1999 in Chennai. Guests included the late Semmangudi Srinivasa Iyer and Dr. M. Balamuralikrishna. Despite making his international debut performance at the age of 11 in Barcelona, the turning point came in 2002, when Pandit Ravi Shankar invited him to perform in the “Concert for George” at the Royal Albert Hall alongside artists such as Anoushka Shankar, Eric Clapton, Jeff Lynn and Pandit Vishwa Mohan Bhatt. A concert that later became a Grammy® award winning album. This was a significant moment in Pirashanna Thevarajah’s career and led to him being an integral ensemble member in Ravi Shankar’s world tours up until his final concerts in India, America and Europe. To this day he performs and records regularly with Anoushka Shankar, including in her most recent Grammy® nominated albums “Traveller” and “Traces of You”. Pirashanna has performed in such prestigious venues such as the Royal Albert Hall, Royal Festival Hall, Carnegie Hall, Barbican Centre, Vienna Konzerthaus, Salle Pleyel, Hollywood Bowl, Frankfurt Alte Oper, Théâtre des Champs-Elysées, Palais des Beaux-Arts, KKL Luzern and at the Verbier Festival, Prague Spring Festival, WOMAD, Glastonbury Festival and London’s BBC Proms. These performances have been as a result of his numerous collaborations with classical and contemporary artists such as Pandit Ravi Shankar, Anoushka Shankar, Mandolin U. Shrinivas, Aruna Sairam, Nitin Sawhney, Prof.T.V. Gopalakrishnan, Ganesh & Kumaresh, Talvin Singh, Karsh Kale, MIDIval Punditz to name a few. 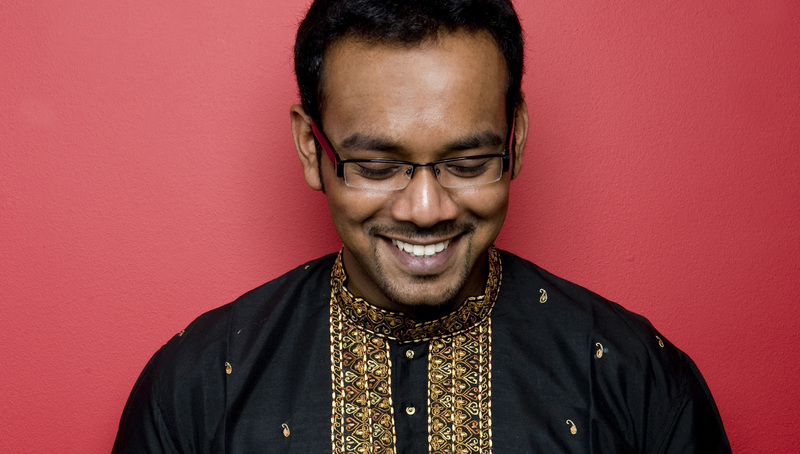 Recent highlights include a European tour with British Indian musician Susheela Raman, performing at London’s Globe Theatre in Anoushka Shankar’s festival celebrating Rabindranath Tagore and a collaboration with composer/ producer Sam Mills’ project, ‘Sacred Imaginations’, which premiered in London in June 2015. Today, from his home in London, Pirashanna’s career echoes his desire to continuously nurture his artistry. He is persistently investigating new sound worlds and opening his mind to different culture’s musical traditions whilst staying true to his Indian Carnatic heritage.